White syndromes (WS) are among the most prevalent coral diseases, and are responsible for reef demise on the Great Barrier Reef. The disease manifests as a clear differentiation between tissue and exposed skeleton and results in rapid tissue loss. Fluorescence in situ hybridisation (FISH) was used in conjunction with histology and transmission electron microscopy (TEM) to investigate bacterial communities and cell death associated with WS. No evidence of bacterial communities or microbial association (using six bacterial probes, TEM and histopathology) was evident within the lesion or adjacent tissues, despite the presence of dense possible secondary invaders in the exposed skeletal regions. Despite widespread reference to necrosis in coral disease literature, there was no evidence of necrosis in any WS lesion or the adjacent tissues in this study. However, in situ end labelling, light microscopy and TEM of WS and healthy coral tissue sections showed evidence of extensive programmed cell death (PCD) exclusively in WS. 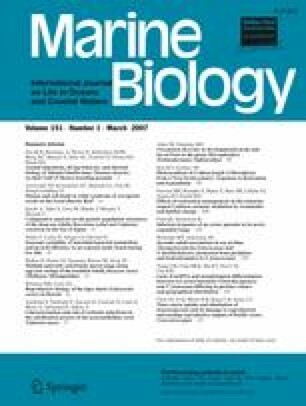 This study provides the first evidence of intrinsic or PCD as a primary mechanism of cell death in WS, and may provide some explanation for the failure to isolate pathogens from over 80% of identified coral diseases, many of which show similar lesion patterns and WS characteristics.